Bro. Fred Ash established the Danville Apostolic Church. Before the church was established, there were around 10 people from the Danville area who were driving all the way to Greencastle, Indiana to attend a church that preached the truth. As a result, Bro. Ash agreed to establish a church in Danville. In 1961, he built a 24′ x 24′ block building and the Danville Apostolic Church was formed. In 1965, Bro Ash invited a fiery young evangelist named Bro. 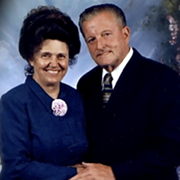 Jerry G. VanLue and his wife Sis. Diane VanLue, to preach a revival for the church. Over the next few years they had 4 revivals with a total of 25 being baptized and 27 receiving the Holy Ghost. In 1971, Bro. VanLue was voted in a pastor by 21 eligible voters. In 1974, the property to the East of the church was very run down and overgrown with weeds and brush. Bro. VanLue had a large vision for this property. However, the owner of the property refused to sell it. He was a proclaimed atheist and had a very ill opinion of preachers in general, that was until he met Bro. VanLue. Bro. VanLue went to this man many times for many days, all the while praying the man would agree to sell the property to the church. Then one special morning, the Lord told Bro VanLue, “this is the day!” And the property was purchased! On that property, a new sanctuary building was built and the Danville Apostolic Church celebrated their first service in November of 1975. Bro. VanLue’s vision was unparalleled as the campus began to take shape and revival came! Through growing pains and a need for change, the church building was remodeled several times and in 1995 the addition and construction of our Family Life Center was completed. Subsequently, a ministry quarters was constructed to specifically meet the needs of traveling pastors, evangelists, & missionaries. Bro. and Sis. VanLue’s vision showed the hospitality that they had toward the ministry and the people of God. In July 2009, at the leading of God, Bro. VanLue brought his son home from the evangelistic field where he had been traveling with his family in a trailer from place to place preaching the Gospel of Jesus Christ. On August 2, 2009, Rev. 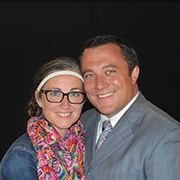 Jeremy VanLue was voted in as the pastor of the Danville Apostolic Church and Bro. VanLue became the Bishop of the assembly of people. Following the leading of the Lord, Pastor VanLue began to cultivate an environment of revival just as his father before him. In December 2011, the Danville Apostolic Church had name change to Abundant Life – The House of Mercy in conjunction with a larger vision that God had given Pastor VanLue. In November 2012, the church broke ground yet again with the plan for a new sanctuary, capable of seating 700 souls, which was completed and dedicated this year! We believe that this is just the beginning of the great things that God has in store for the assembly of people at Abundant Life – The House of Mercy.